Flat rate pricing that gives you full features – simply decide between monthly or annual. *Prices list in USD. Select preferred billing currency on checkout. Additional GST charged where applicable. Need more than 40+ users? systemHUB scales to any level. To discuss your needs, book a call with one of our team today – click here. Run a not for profit? systemHUB is here to support you. Contact our team to discuss our our options – click here. What SOP & system templates are included in your account? When you subscribe to our ‘Complete’ subscription, you will receive access to more than 40 business standard operating procedures (SOPs), processes and checklists. These templates can be duplicated and customised to suit your business – click here for more details. 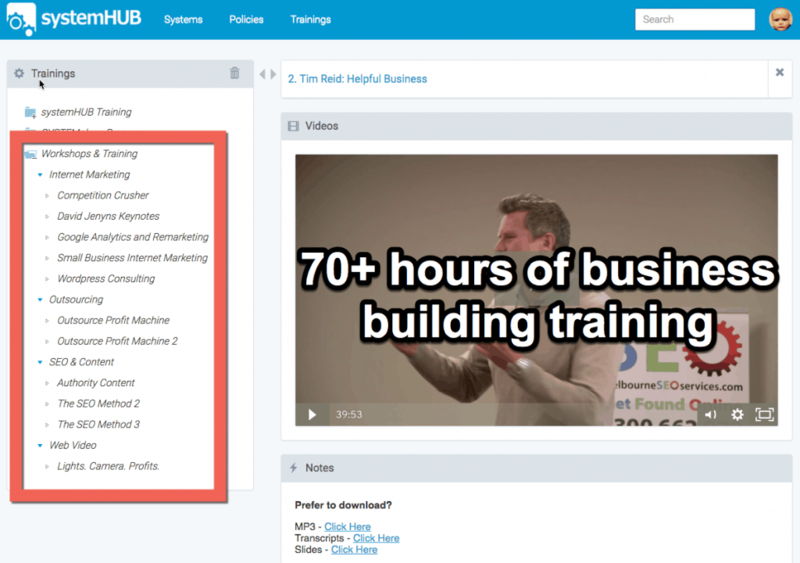 What is the training library? When you subscribe to our ‘Complete’ annual subscription, you will gain access to over 70 hours of quality training. Topics include: business systemisation, internet marketing, SEO, outsourcing, video marketing and more. Perfect training for you and/or your team – click here for more details. What’s included with the full service onboarding? When you subscribe to our annual package, our full service onboarding team will help to get you up and running as quickly as possible. They’ll look to create departments and roles, add users, load your company logo and even migrating previous documentation. It’s their job to support you through the business systemisation process! Why don't we bill on a per user basis? Do we offer trial accounts? Please note: Trial accounts are available on the demo calls – simply book your one-on-one demo. Alternatively, watching our walkthrough video here, might also help. Can't I just use Dropbox or Google Drive for my systems and processes? 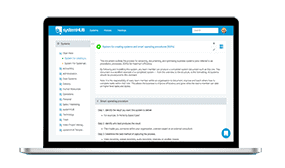 Here’s another quick video to show you how systemHUB works with your current project management software – click here. Do you provide a “Done For You” documentation service? The short answer is “yes”. For clients looking to have our team do all the documentation for you – check out our SYSTEMology service here. This package include everything from identifying the mission critical systems, to conducting one-on-one interview sessions, all the way through to our team documenting and organising your systems and processes – find out more here.